Last month my mom found an old letter that Santa had left me when I was very young. (You may have seen this picture of it that I posted on Instagram.) It was beautifully written in red calligraphy and was made to look as though it were on aged paper. I had no memory of receiving it when I was little, but it made me SO happy to see it now as an adult. 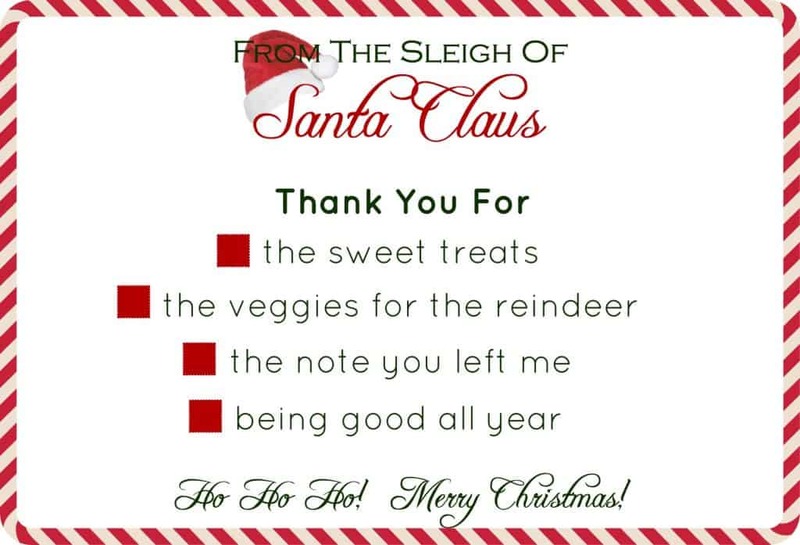 And of course it made me want to have Santa leave my children a special note. Problem is I don’t know calligraphy and there’s no way I’m going to successfully dye paper to look like it’s old (trust me on that one.). So I hopped onto the computer one night and made up some letterhead and a thank you note from the big man in red. (Hey – when you’re important, you definitely have custom stationery.) You can download it later in this post! 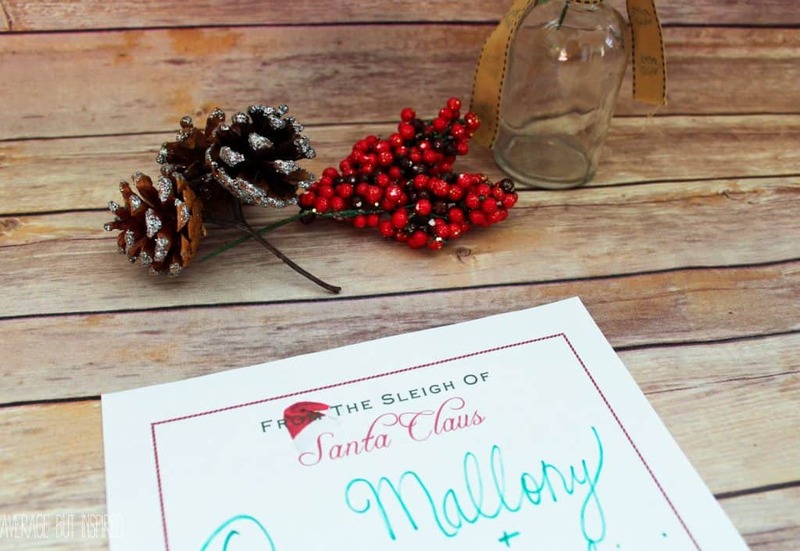 I think this set of Santa’s stationery turned out pretty cute and will lend some authenticity to any note Santa might leave your little one(s) – even if you don’t know calligraphy! After I printed my letterhead and thank you notes out, I tried to write all fancy like Santa would. It looked ridiculous. I’m not even going to show you the full note. Womp womp. I might have to re-print and try again later. 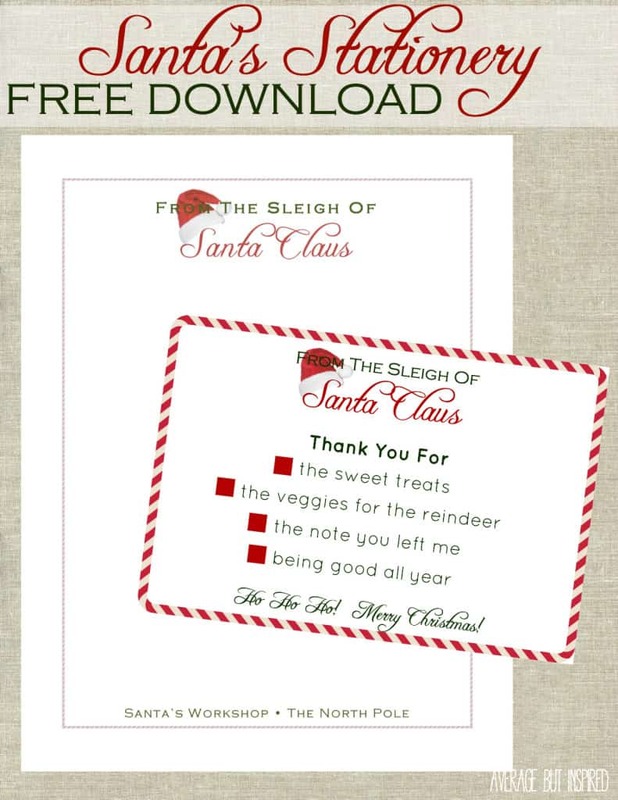 If you’d like to download Santa’s thank you notes, do it right here. 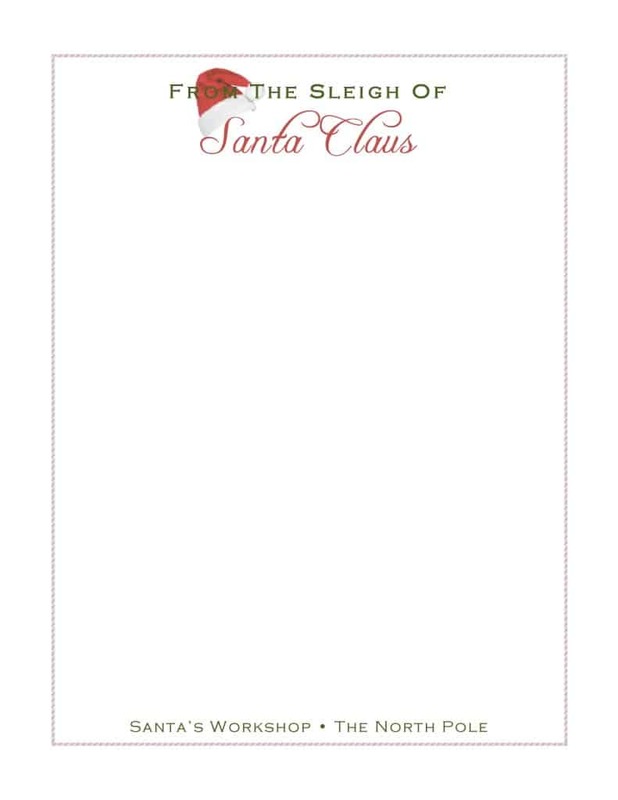 And if you’d like to download Santa’s letterhead, do it right here. Very cute letterhead, Bre. 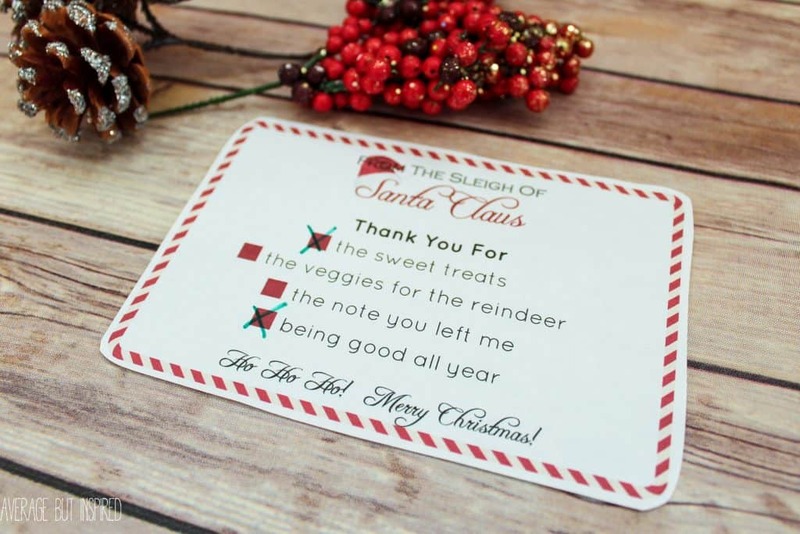 I remember the days when Santa left letters here… typically on notebook paper. This would lend a bit of authenticity to the project! Aw this is such a sweet idea Bre! Love it! 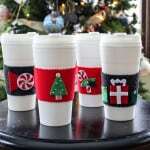 How cute are these, Bre!? Love it! 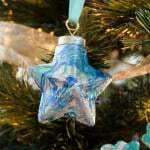 I love these idea! Thanks so much for sharing.